Yet again we woke up to glorious sunshine. We had decided to try and make our way to Figueira da Foz some 75nm south as there was a forecast of high winds for tomorrow. In the event, we had light winds all day so had to motor the majority of the time as we wanted to arrive in daylight. 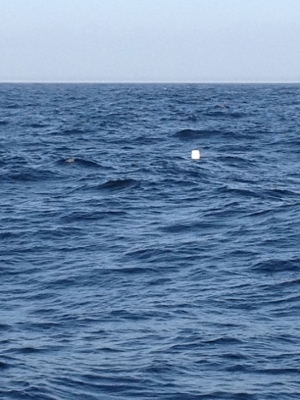 One of the reasons for this is the fact that the Portuguese coast is littered with badly marked fishing/lobster pots. For those of you who are sailors, you will know that most coastlines have them. However, in Portugal they are more frequent, further from the coastline and very poorly marked. Add to this the Atlantic swell of 2m and it could be a recipe for disaster – getting one of these with 50m of rope wrapped around your propellor is not a good thing. We finally arrived at Foz after sunset and just had sufficient light to moor up after checking in with the authorities who were waiting for us. There is supposed to be high winds coming through tomorrow so we may be here for another day. 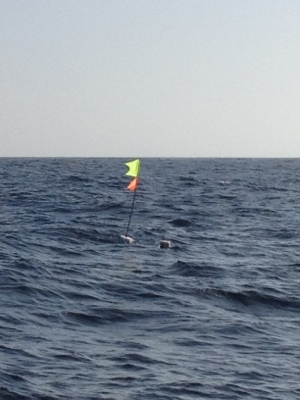 Below are pictures of good and bad lobster pot markers. This entry was posted in News and tagged 2012, Portugal. Bookmark the permalink. We remember the lobster pots well!! Glad to see you are getting some sun and a following wind. Wish we were there with you! Lobster for tea then !!!!!! Thanks for reading! We have a rope cutter as well but you’re never too sure whether they will work! Enjoy St Helier and go to the war tunnels if you get a chance.